Ooty bus stand: this is quite obvious that this place has plenty of hotels to stay. You will find all budget hotels here and most of the people opt to be here. Advantages: easy connectivity because here is bus stand. Disadvantage: this place will not give you right natural beauty feel because of dust and noise pollution. Ooty Railway Station: Udhagamandalam is the name of railway station in this hill station. This area lies in the Nilgiri region and railway connectivity is very strong since beginning of railways in India. Near railway station, you will find plenty of hotels with varying budget. Disadvantage: noisy and crowded place so this place doesn’t have what you will be looking in Ooty. Hotels near Botanical garden: with 22 acre garden, this is a perfect place to feel the real beauty of Ooty. Plenty of hotels are located near this garden and it is always a good choice to opt for one. Advantage: scenic beauty that you would be expecting in Ooty. Disadvantage: hotels here are costly so you must be ready to spend little bit more than other places. Hotels near to Rose garden: this garden is supposed to be one of the hotspot for hotel industry. Plenty of hotels have come near to this place and still number is increasing with time. Among hundreds of hotel in this area, we are offering you best value for your money as well as comfortable stay. Advantage: locality is the best because of panoramic view outside. Disadvantage: if you get successful to find a budget hotel then there is no problem with this area. Hotels near lake in Ooty: this site is extremely popular in this area as it has got many natural sites to go on. Hotels are full in this area too as there are many companies which have reasonable facilities to offer you. Advantage: lake is here so you will get panoramic view. Disadvantage: you may have to put some extra bucks to have hotel in this locality. For people, who visit this hill station lake is a must see venue. You will find panoramic natural view form this lake. In the last few years, various measures by government have been taken to improvise the things and results are on ground now. You will be surprised to know that this lake has an area of more than 70 acres. Local government has worked for betterment of infrastructure for lake and boathouse is a result of that. In boathouse, you will find many types of boat and you can select one as per requirements of you. It was British Governor “John Sullivan” who started building this lake in 1820s. If you visit this town then you will find that water coming out of mountain parked here. From 1824 to till now, four times this lake has completely dried because of lack of water. When somebody asked mr. “John Sullivan” that why did you built this lake then he had replied that it was result of his love for fishing but nowadays you will not find fishing here. I have written here that lake has area of 70 acres but reality it is not there because land has been encroached by golf clubs, bus stand and other public places. Technical team of Tamil Nadu government keeps close eye on all development in lake but they have already warned for Hyacinths. From government as well as various NGOs all are putting their efforts to get the things right for the lake and it its condition is fine now. There have been problems in the past but nowadays things have changed a lot with efforts of technical team. People who use to come Ooty never forget to come at this venue. You would be aware that narrow gauge train of Ooty is a world heritage site. People who come to this hill station often go for this train. It is quite obvious that if you are coming through train then you would be looking for any hotel near to railway station in Ooty. One thing should be always remembered that name of Ooty railways station is Udhagamandalam railway station. Some people often get confused where to find exact name railways station but in reality it is nowhere. 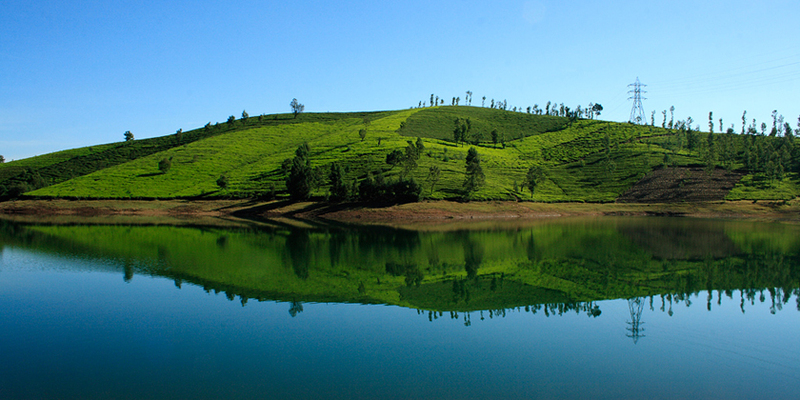 Come to Udhagamandalam and you will enjoy a hill station that you would have rarely seen. When it comes to accommodation near to this station then there are many options quite easily available. Not only here but in the entire range of Nilgiri mountain railway, you will find perfect infrastructure for accommodation. Code for railways station is “UAM” so go for IRCTC and use this code to plan your journey. Whether you are looking for accommodation near lake or railways station, you will always find reasonable option within your budget and requirements. Book the best budget accommodation in Ooty. You might have heard that there are many hotels which can give you comfortable stay in Ooty but in reality most of them are doing false claims. “Alwoodlands” is the best available option through which you can enjoy best facilities at affordable cost.